What is the most important page on your site? Seems like something you should consider. For us, it is the page that comes up in response when a visitor submits an email through our inquiry form – the Thank You For Contacting Us page. And it’s not a page we index, or gets SEO effort. Here’s why it is so important to us. 1 – There is more work involved by the visitor to use a contact page than any other web page – they had to get there through navigation, they have to fill out required fields. They are motivated. So, they deserve to feel we appreciate that effort. 2 – They are motivated by interest in what we do, and are most likely a prospective client. So we need to leave them with a good impression, and perhaps find a way to keep them in our informational queue. 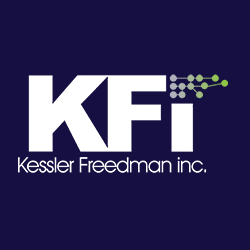 At this point in time, we also provide access to our KFI Twitter feed on the Thank You page, and hopefully, if they find something of interest, they will keep connected to us. We do NOT blast them with popups, or offers for freebies with little-to-no value. We think that actually drives away the most interested folks in our services. We keep it simple. We don’t use our site to finalize sales, but to begin the conversation. The contact page can either generate an email or a call, and in either case, the response should invite their interest even further. It is a balancing act – not too much, not too little. This is important for your site’s contact form(s) as well, so don’t forget to think about how you keep your visitors engaged.